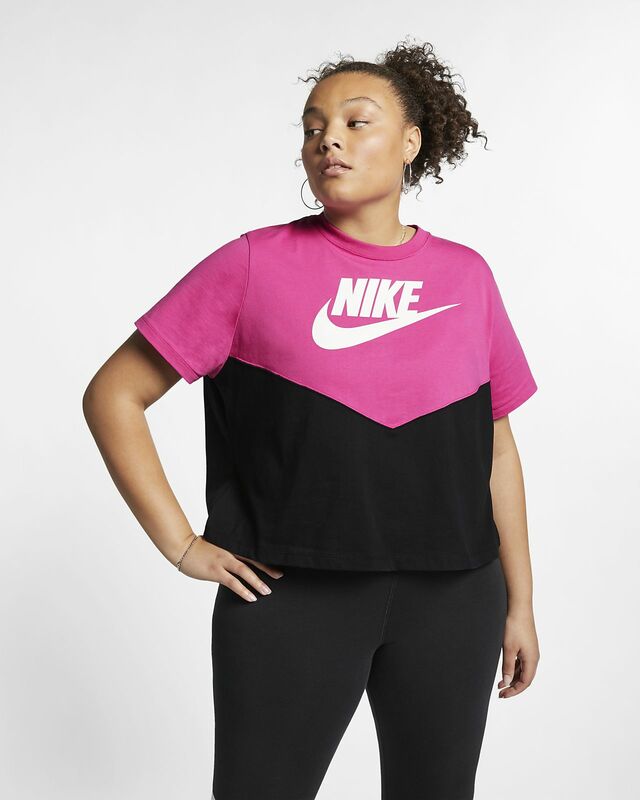 Make it memorable in the Nike Sportswear Heritage Top (Plus Size), a timeless style that gets updated with an abbreviated length. A chevron design throws it back to Windrunner style with playful color blocking. Cotton fabric is soft and breathable. Chevron lines and color blocks throw it back to the 1978 Windrunner Jacket. Slightly cropped design hits at the waist.